1. 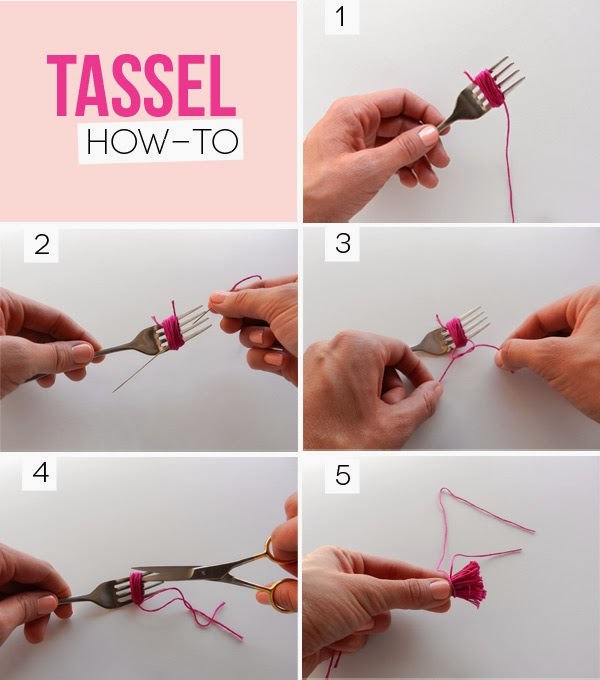 Ok, so I know it might seem a little strange, but I found using a fork for making tassels to be the easiest. Begin by wrapping embroidery floss around the end of a fork approximately 30 times. 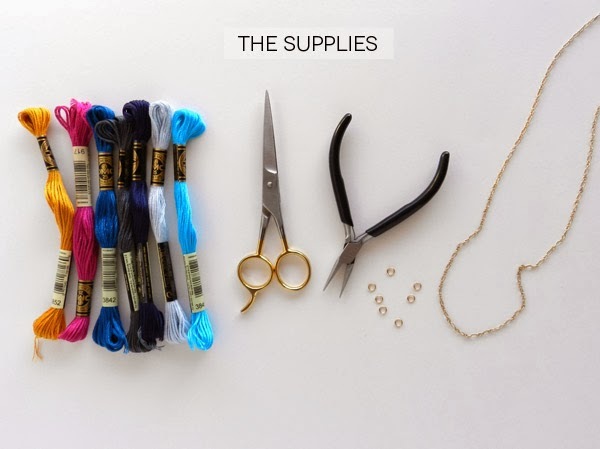 You can choose to wrap it more or less depending on how 'full' you want your tassel to look. 2 & 3. Once you've wrapped it to the thickness you desire, cut off the excess thread. Use an upholstery needle to thread embroidery floss between the prongs of the fork and secure it with a double knot. This will create the top of the tassel. 4. Carefully cut the embroidery thread, opposite of the knotted end of your tassel, releasing it from the fork. 5. Pinch the knotted end, or top of your tassel, and carefully wrap a piece of thread around the tassel approximately 3 times and secure it with a knot. 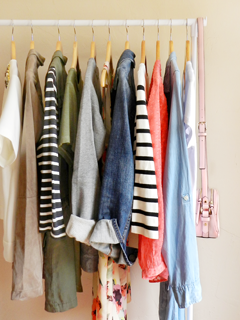 Trim off any excess thread. 6. 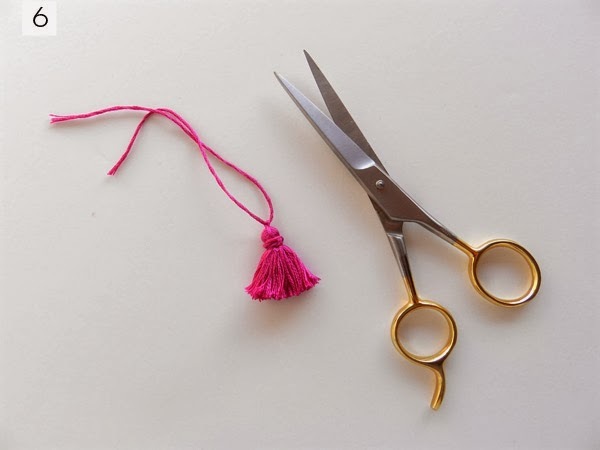 Finish by giving your tassel a little "hair cut" to even things out a bit. 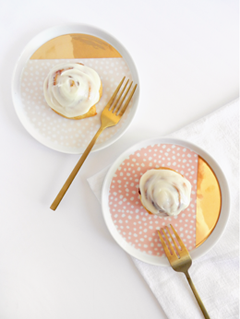 When you're finished, it should look like the picture below. Note: Something I didn't do, but I would suggest doing is securing your knots with a tiny dot of super glue. 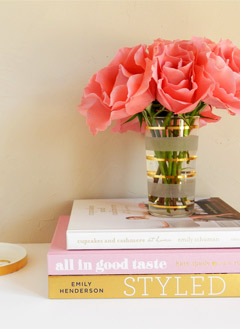 This will make sure things stay in place and none of your tassels go missing. 7. 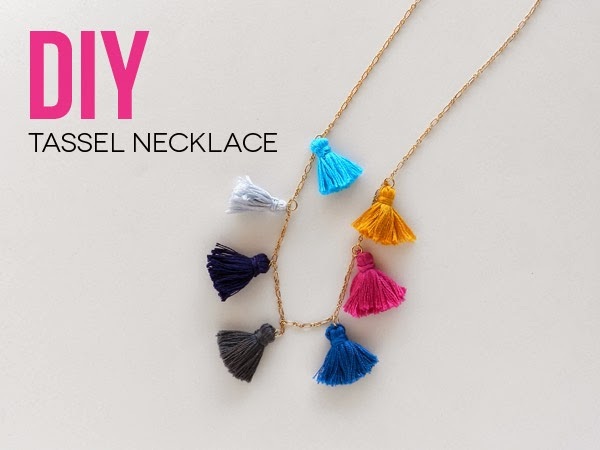 Repeat steps 1-6 to create 6 more tassels in varying colors. 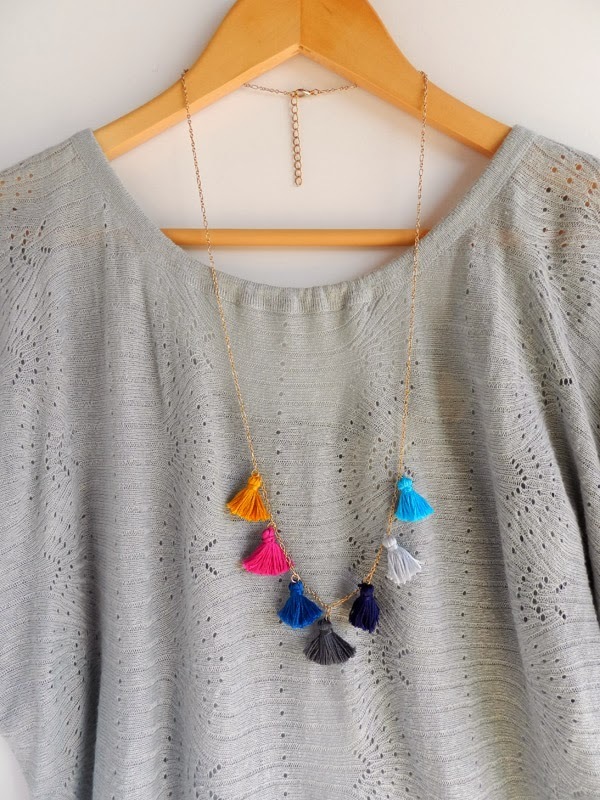 When you've finished, decide on the placement of the tassels along the necklace chain. Note: Instead of buying chain and creating a necklace myself, I used an old necklace I had on hand and just removed the pendant. 8. 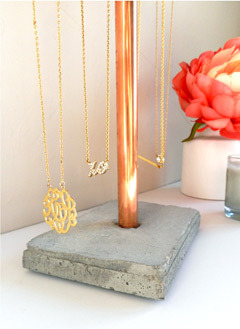 Once you have decided on placement, begin with the center tassel and attach it to the necklace chain using a jump ring. From there, evenly space the remaining tassels, working outwards from the center. I think I'm going to do this this summer! Thanks for sharing!